Cats always have impressive whiskers, but this one has a truly impressive mustache! The HeatherCats to which Dalicat belongs are a collaboration of my friend Heather Russell, an artist from New Zealand, and me, Cat from Cat's Wire - hence the name HeatherCats. 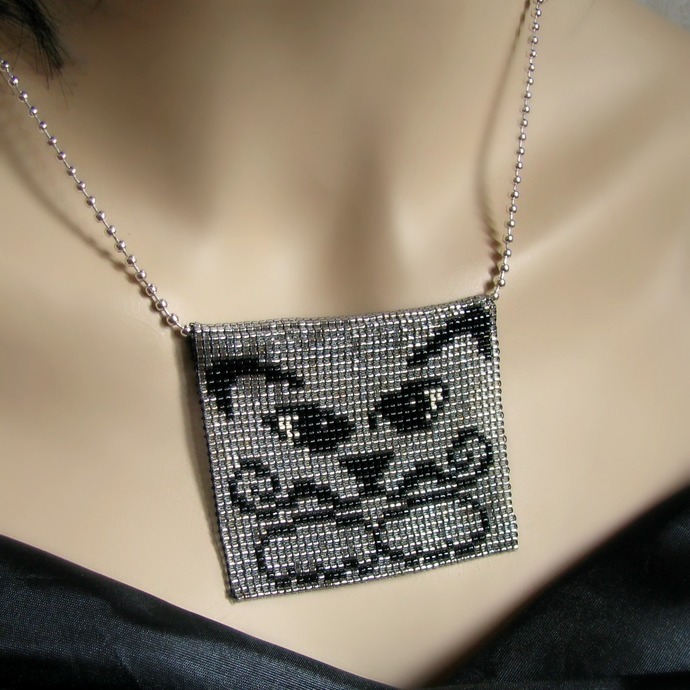 It's an exclusive series of jewelry designed and bead loomed after Heather's original cat paintings which are both whimsical and often colorful. 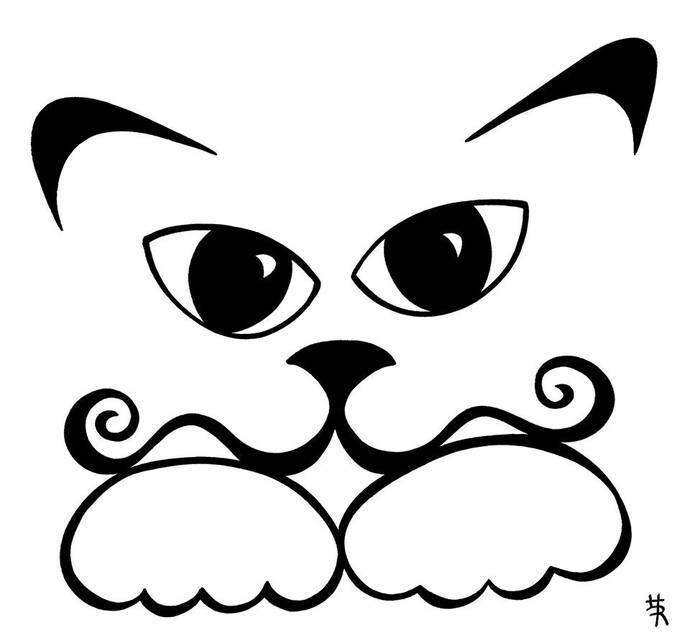 The pendant uses negative space to show you a lurking cat with a mustache inspired by Dali. Others see a typical villain from the silent movie era when a mustache like this was almost a must for the bad boy. Are there cat villains? 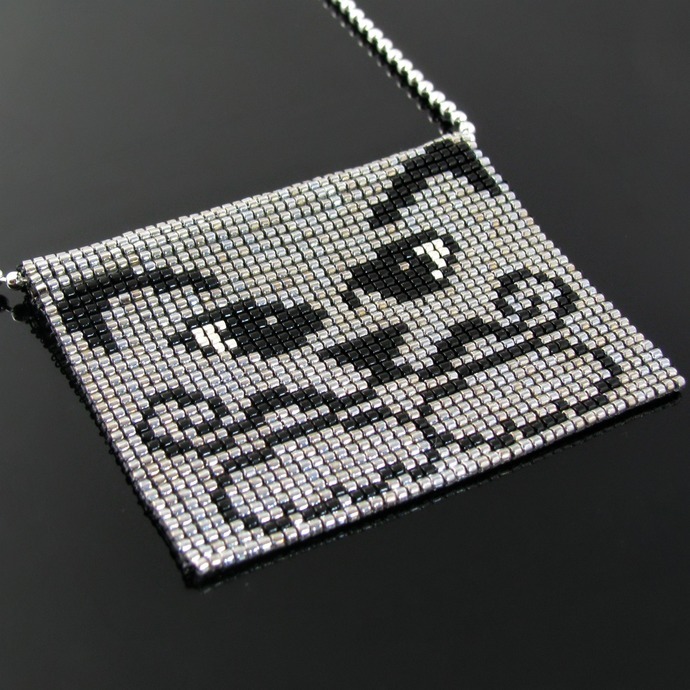 The background is a beautiful silver luster, the cat has shiny silver eyes glowing out of the pendant. 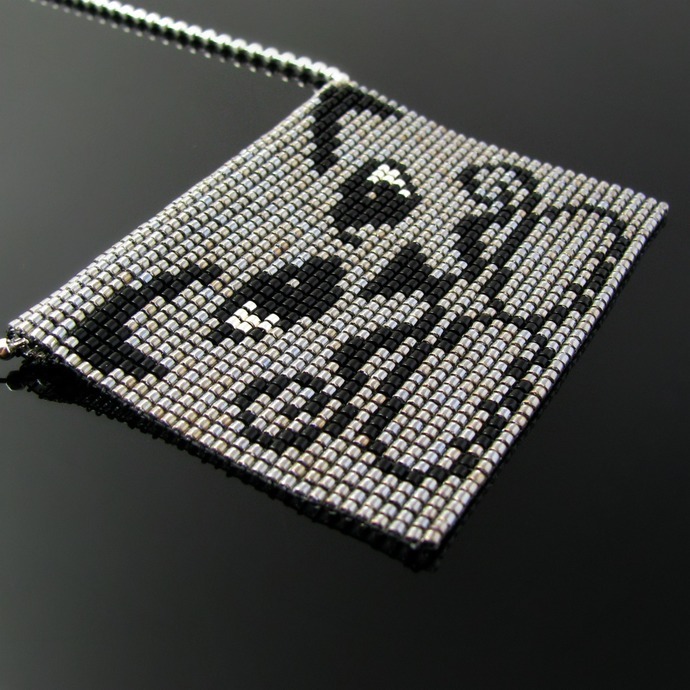 The pendant is loomed from Miyuki Delica beads and comes on a silver tone ball chain of 60 cm or 23 1/2 inch length (which can be made shorter to the length you prefer). 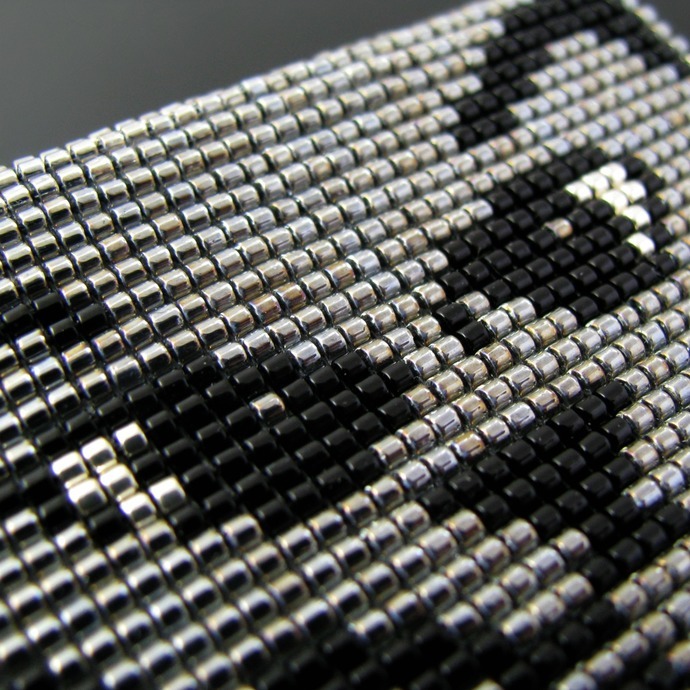 There is no bail, the end of the pendant has been sewn up to shape a tube through which the chain is pulled. 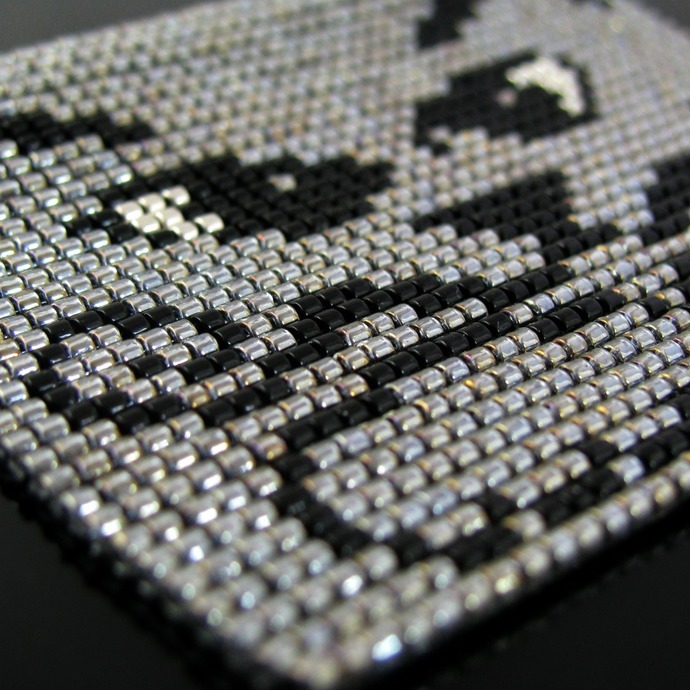 The pendant itself is 5.4 cm or 2 inch high. The original Dalicat is featured in the last picture. 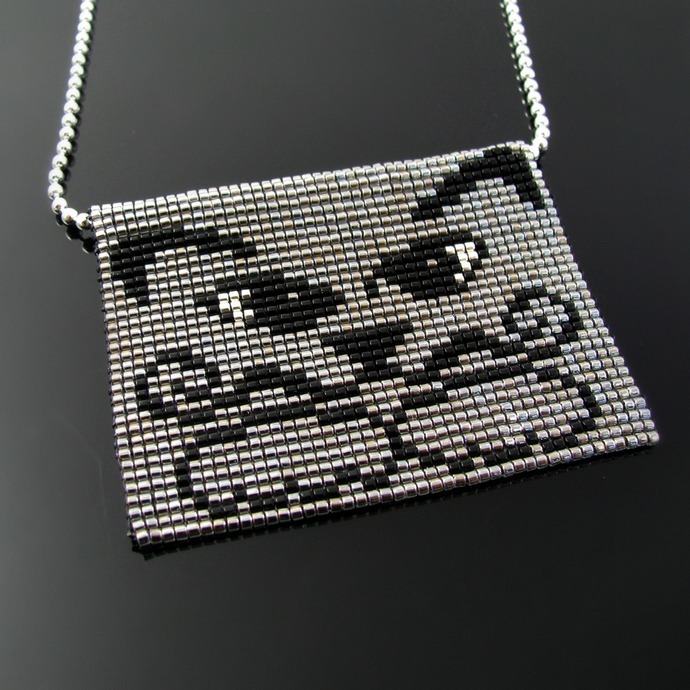 Due to the nature of bead looming the HeatherCats sometimes show little differences from the paintings. All changes are agreed on by Heather.